Quarter Barrel, 616 Second Ave. SE, Cedar Rapids, is among the Corridor restaurants making a conscious effort to locally source their ingredients, to provide higher quality menu options and support local producers. “These chefs are all fun to work with and value knowing the farmer,” said Lois Pavelka of Pavelka’s Point Meats in rural Mount Vernon, which provides pork and beef to Quarter Barrel, as well as meat to places such as Salt Fork Kitchen in Solon, Kalona Brewery in Kalona and El Banditos and Orchard Green in Iowa City. For Ms. Pavelka, farmers markets make up a larger share of income, but restaurants round out the farm’s financial picture, with 30 to 40 percent of sales in a given year. 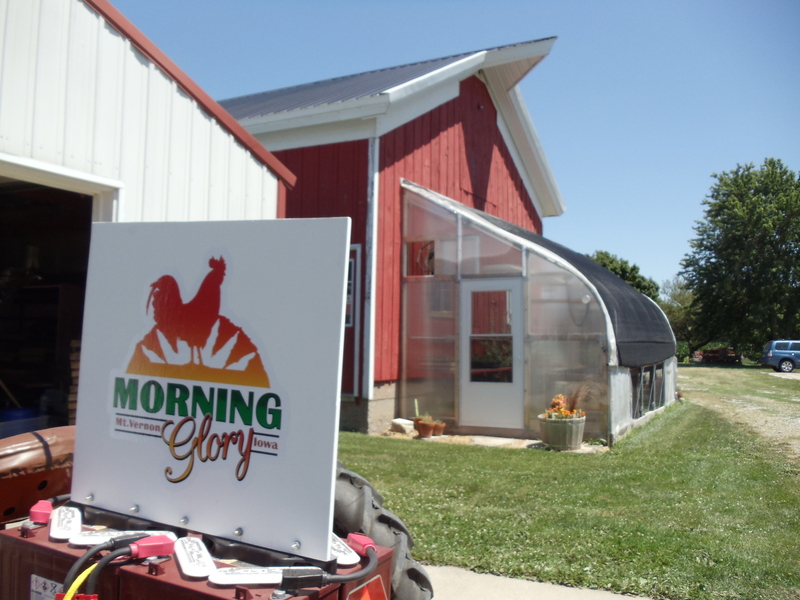 The same is true of Donna Warhover of Morning Glory farm near Mount Vernon, who uses a Community Supported Agriculture (CSA) model as the farm’s primary source of income, along with farmers markets. Those restaurants also can help by using large quantities of a given food when those become available. For example, a bumper crop of green beans, hand-picked by Ms. Warhover and her small crew on the 3-acre farm, didn’t go to waste when the chef at Cornell College in Mount Vernon was able to use bushels of the beans. Cornell also bought hundreds of pounds of onions, cases of peppers and cabbage and large quantities of kale and herbs. 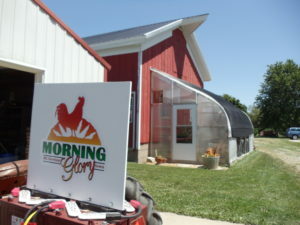 Other restaurants that have purchased produce from Morning Glory include Nodo in Iowa City, Rapid Creek Cidery at Wilson’s Orchard, and the Greyhound Deli and Mercy Medical Center, both in Cedar Rapids; some on a limited basis of particular products such as slender carrots, or basil in bulk for pesto. Quarter Barrel in Cedar Rapids was another customer for Morning Glory, buying garlic scapes and arugula on occasion. “Sourcing locally and developing relationships with our farmers is the best way – the only way – to do this with any confidence,” he said. Head Chef Andrew Hoffmann was the perfect fit for that vision. Mr. Hoffmann, 29, and sous chef Josh Carter, 39, both spent their youths on Iowa farms, a background that influenced their perspective as chefs. 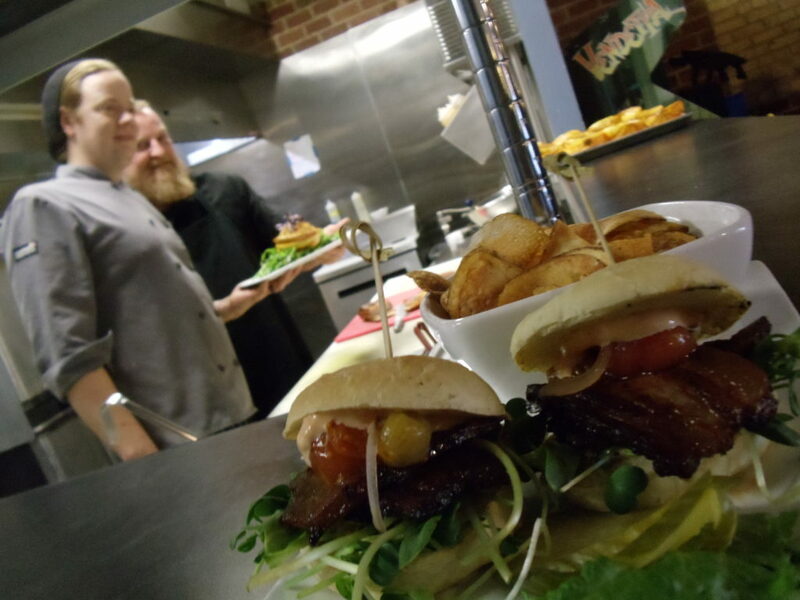 A whole slab of pork belly from Pavelka’s Point Meats is smoked in-house over spent grains from Quarter Barrel’s brewing process to create the mouth-watering pork belly slider, with local micro-greens added from Organic Greens in Kalona. Tomatoes used at Quarter Barrel often come from gardens grown by Mr. Hoffmann in Mount Vernon and Mr. Carter in Cedar Rapids, as well as eggs that come from their backyard chickens. Mr. Hoffmann said sourcing local ingredients can be more time-consuming than ordering from one provider, but isn’t necessarily more expensive when a farmer has an abundance of a certain crop. Mr. Hoffmann noted that sourcing locally also helps keep money in the local economy and supports start-ups, such as Jupiter Ridge in northeastern Iowa, which provides mushrooms and vegetables to Quarter Barrel. 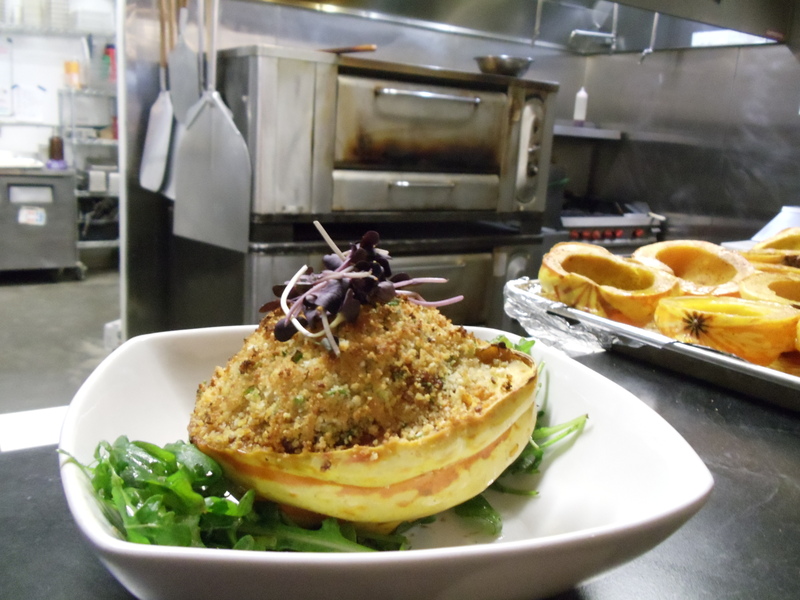 Squash from Jupiter Ridge was even being served in the depths of Iowa’s frigid winter.